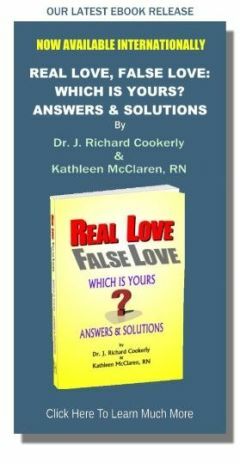 Synopsis: Intriguing concepts; Successful failure; Sacrifice and imbalance, Four factors most don’t know to think about; Healthy self-love; and Asking good questions for happy, healthy, work success via love. How do these ideas strike you? 1. Work is to serve life, not life to serve work. 2. To love your work and work your love is to make much of life ‘play’. 3. The best work is ‘love made manifest’. 4. One of the healthiest acts of self-love is to find work that you would pay to do if someone wasn’t paying you to do it. 5. With work, love and play in balance we succeed at life. Without all three in balance we fail at life. Well of course, I and those who work with me went to work helping Harlan learn to help himself in all his neglected areas. After some rather intense therapy and a lot of ‘practice work’ putting concepts and realizations into healthy actions I’m pleased to say Harlan now lives a much more balanced and far happier life. Work is such an enormous part of most people’s life. Work is also an enormously important factor influencing how well one does healthy self-love and healthy relational love. Yet many people do not give these aspects of their work-life much thought. There are those who sacrifice their emotional and their relational life for work. There also are those who sacrifice their physical health for their work. Some people actually do work themselves to death. Like Harlan there are many people who, perhaps unknowingly, sacrifice their love relationships for success, money, status and other work related goals. There also are work related problems that sabotage love which hardly anyone thinks about. * Succeeding at the wrong thing Here are some examples: Dean is a very well-off, successful, corporate attorney but he longs to be a camp director – he loved scouting as a boy. He dreams of this almost nightly and his anti-depression medicine seems to be working less and less. Janet just wants to raise her kids which is what she both loves and is super good at. However, being a high dollar, traveling, medical equipment rep just has too many payoffs, even though it takes her away from her family for weeks at a time. Next year John swears he’s going to stop selling real estate and start back to school to become a veterinarian, but will he? This is the fourth year he has made this proclamation. Sarah is a rising project manager in an upscale, big-city, healthcare company but her doodles and daydreams are all about being back on a Navajo reservation working with children where her life felt most fulfilled. Each of these people do not love their work even though they are good at it. Sadly, they are more likely than the average person to develop stress related illnesses, damaging alcohol or prescription drug abuse, love relationship deterioration, and an existential crisis resulting in what most people call a complete breakdown. Hopefully none of those will happen. Each of these people just may live unfulfilled, unhappy lives being successful at the wrong occupation. * Loving only work It’s wonderfully healthful to love your work, enjoy your labors, revel in succeeding, be passionate about the challenges and so forth but only if you balance it with other things to love like healthy self-love, healthy relationship love, healthy love of life, healthy spiritual love, etc.. There is much more to life than work, even highly meaningful work. People working for important causes, people manifesting their talents in the arts, professions, etc., people doing fascinating research into the great mysteries, and people just enjoying doing a really good job at something they are good at — all can be in danger of imbalanced living because their work is so rewarding and enjoyable. * Only tolerating your work Do you ‘love’ your work? If you don’t do you suspect you ever will? Many people will leave a job or occupation they hate but will stay in a vocational situation they only can tolerate. This often is referred to as being “stuck in a dead-end job”. It is true that a great many people’s life situation does not provide for much more than a vocational situation which is merely tolerable. However, as an act of healthy self-love searching for better than that and risking a change can mean you will have a longer and happier life, and everybody you love and care about probably will enjoy you more. It’s always a joy when I get to help a person find the kind of work for which they can get decent pay and be passionate about. It’s surprising how often this leads to improved financial success. I once helped a couple who had been saving for years to change occupations from being well-paid engineers to metal sculptors but they just were not brave enough to make the transition. Finally they worked up their courage to go ahead and become ‘starving artists’ devoted to their passion. However, it didn’t pan out that way because in their second year they were making twice as much money with their art as they ever had in engineering. Sometimes it works out like this and sometimes not, but usually the life happiness level is greatly improved. * Poor self-love makes for a lousy work life Let me suggest that people who are high in healthy self-love tend to manifest that self-love partly by going after work that actualizes their talents and in which they find enjoyment or even great enjoyment. 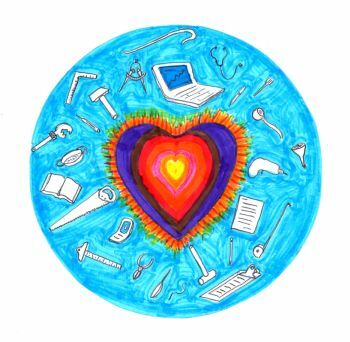 Conversely, people with poor self-love and its accompanying low self-esteem and low self-confidence often put up with low satisfaction types of work and less than desirable work settings. People with high, healthy self-love know they are worthy of good treatment and they won’t tolerate for long people or conditions that are too negative for them. Those who grow a healthier self love seem, almost invariably, to keep making work-life improvements of one kind or another. People weak in self-love are seldom proud of the work they do even when they do a pretty good or better job at it and often they don’t go after promotions or improved placement. At least that is my experience with the many people I have counseled concerning these issues. Let’s look at some questions concerning love and work. For you, are love and work two different things or are they integrated? Do you put love into your work? Do you love yourself through your work? Do you love the people you work with? Does the way you go about work influence the way you go about love away from work? Does the way you go about love influence the way you go about work? Now look at a bigger question. Are you succeeding at the big three i.e. Work, Love and Play? Are you keeping the big three in a fair amount of balance with each other? Will it be good for you to give some thought to your work and its influence on your healthy self-love and on your love relationships? Hopefully this will help you examine the enormous part of life we call work. ♥ Love Success Question Does the word ‘work’ elicit an emotion in you that you like to feel, or an emotion you don’t like to feel, or a neutral feeling, and what do you suppose that means about you?